SMA investors cannot claim trader tax status (TTS) since an outside manager conducts the trading, not the investor. Therefore, investment expense treatment applies for advisory fees paid. In the previous example, the investment manager reports service business revenues of $30,000. Net income after deducting business expenses is subject to ordinary tax rates. An investment manager for an SMA is not eligible for a carried-interest share in long-term capital gains, or 60/40 rates on Section 1256 contracts, which have lower tax rates vs. ordinary income. Only hedge fund managers as owners of the investment fund may receive carried interest, a profit allocation of capital gains and portfolio income. Additionally, if the manager is an LLC filing a partnership tax return, net income is considered self-employment income subject to SE taxes (FICA and Medicare). If the LLC has S-Corp treatment, it should have a reasonable compensation, which is subject to payroll tax (FICA and Medicare). Carried interest helps investors and investment managers. Rather than charge an incentive fee, the investment manager, acting as a partner in the hedge fund, is paid a special allocation (“profit allocation”) of capital gains, Section 475 ordinary income, and other income. Let’s turn the earlier example into a hedge fund scenario. 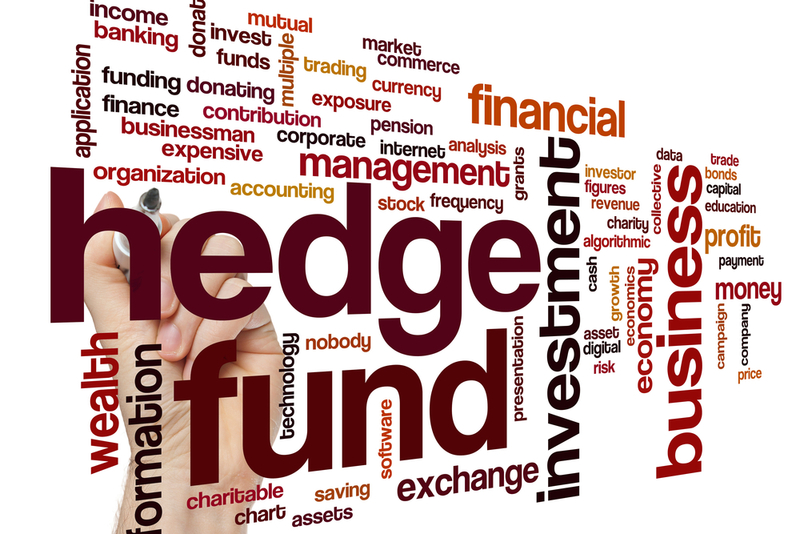 The hedge fund initially allocates net capital gains of $110,000, and $10,000 of management fees to the investor on a preliminary Schedule K-1. Next, a profit allocation clause carves out 20% of capital gains ($20,000) from the investor’s K-1 and credits it to the investment manager’s K-1. The final investor K-1 has $90,000 of capital gains and an investment expense of $10,000, which is suspended as an itemized deduction on the investor’s individual tax return. Carried interest helps the investor by turning a non-deductible incentive fee of $20,000 into a reduced capital gain of $20,000. Carried interest is imperative for investors in a hedge fund that is not eligible for TTS business expense treatment. With a 40% federal and state tax rate, the tax savings on using the profit allocation instead of an incentive fee is $8,000 ($20,000 x 40%). To improve tax savings for investors, hedge fund managers might reduce management fees and increase incentive allocations. Hedge fund managers must now hold an underlying position in the fund for three tax years to benefit from long-term capital gains allocated through profit allocation (carried interest). The regular holding period for long-term capital gains is one year. I’m glad Congress did not outright repeal carried interest, as that would have unduly penalized investors. The rule change trims the benefits for managers and safeguards the benefits for investors. The three-year holding period does not relate to Section 1256 contracts with lower 60/40 capital gains rates, where 60% is a long-term capital gain, and 40% is short-term. If a hedge fund qualifies for TTS, then it allocates deductible business expenses to investors, not suspended investment expenses. I expect many hedge funds will still use a profit allocation clause since it might bring tax advantages to the investment manager — a share of long-term capital gains, and a reduction of payroll taxes on earned income vs. not owing payroll taxes on short-term capital gains. The proposed QBI regulations confirm that traders eligible for TTS are considered a service business (SSTB). Upper-income SSTB owners won’t get a deduction on QBI if their taxable income (TI) exceeds the income cap of $415,000/$207,500 (married/other taxpayers). The phase-out range is $100,000/$50,000 (married/other taxpayers) below the income cap, in which the QBI deduction phases out for SSTBs. The W-2 wage and property basis limitations apply within the phase-out range, too. The proposed QBI regulations also describe investing and investment management as an SSTB. QBI includes advisory fee revenues for investment managers earned from U.S. clients, but not foreign clients. QBI must be from domestic sources. I presume QBI should exclude a carried-interest share (profit allocation) of capital gains but will include a carried-interest percentage of Section 475 ordinary income. Many investors are upset about losing a tax deduction for investment fees and expenses. Some just realized it. I recently received an email from an investor complaining to me about TCJA’s suspension of investment fees and expenses. He was about to sign an agreement with an investment manager for an SMA but scrapped the deal after learning he could not deduct investment fees. Most hedge funds only work with larger accounts and adhere to rules for accredited investors and qualified clients who can pay performance fees or profit allocations. Larger family offices may have a workaround for using business expense treatment without TTS, as I address on my blog post How To Avoid IRS Challenge On Your Family Office. Investment managers handle two types of investors: separately managed accounts (SMAs) and hedge funds (or commodity or forex pools). In an SMA, the client maintains a retail customer account, granting trading power to the investment manager. In a hedge fund, the investor pools his money for an equity interest in the fund, receiving an annual Schedule K-1 for his allocation of income and expense. It’s different with offshore hedge funds. In an SMA, the investor deals with accounting (including complex trade accounting on securities), not the investment manager. In a hedge fund, the investment manager is responsible for complicated investor-level accounting, and the fund sends investors a Schedule K-1 that is easy to input to tax returns. There are several other issues to consider with SMAs vs. hedge funds; tax treatment is just one critical element. “SMAs provide transparency, and this is important to many clients, particularly tax-exempts or fiduciary accounts,” says NYC tax attorney Roger D. Lorence. Roger D. Lorence contributed to this blog post. This entry was posted in 2017 Tax Cuts and Jobs Act (TCJA), Investment Management and tagged hedge funds, investment management, SMA on August 28, 2018 by Robert Green.